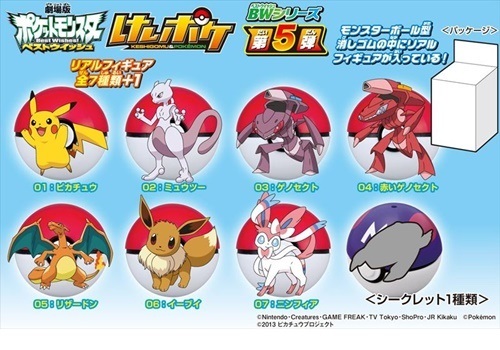 Ensky will release 8 figures of Pokemon Keshipoke series BW 5 in the end of August 2013. A figure comes in an eraser Pokeball. (Keshi means eraser in Japanese). Will replace the image soon. As for previous released lines, please see these articles.